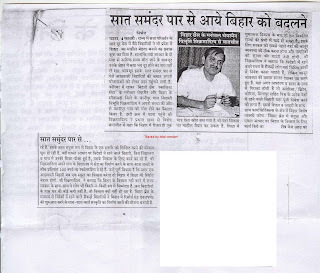 Patna Feb4,2006: My Interview In prabhat Khabar in Bihar,Jharkhand and west Bengal. They published on the first Page of the news Daily on Feb 4,2006. Thx to Prabhat Khabar team.